LetUsYoga will be a dedicated yoga training centre for both adults and children under the training of Anand V Nair, the founder of LetUsRead, who has over 10 years of experience in regularly practicing yoga. Anand’s father taught him yoga for many years when he was a child but he could not continue the practice due to the other priorities he had set himself in his life. But later in his life, he realized how regular practice would have helped him in many ways during the ‘turbulent’ years of his past life. He finally caught up with yoga twelve years back after having two life-threatening health situations. Today he enjoys a physically, mentally and spiritually fulfilling life that is beyond what he had thought possible ten years ago. 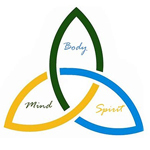 Anand is starting LetUsYoga to create awareness among people through teaching yoga about the magic transformation that is possible in mind and body of both adults and children through the regular practice of yoga. The word ‘yoga’ literally means union - the union of mind, body and soul with the universe. 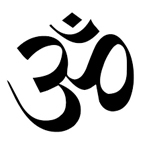 It is a Hindu originated spiritual and ascetic discipline, a part of which includes breath control, simple meditation, and the adoption of specific bodily postures. It is widely practised for health and relaxation. Dr Timothy McCall of ‘Yoga as Medicine’ says, “With yoga you are strengthening and calming the nervous system. You are increasing the blood flow to internal organs and bringing more oxygen to your cells. You are clearing the mental clutter that can wreck your life, allowing you to see things more clearly. You are cultivating the spiritual muscles in a way that can make you happier, less anxious and more at peace”. OSHO quoted saying yoga as the supreme science. LetUsYoga is mainly focusing on teaching yoga to children as they are more flexible, less strained and stressed and probably have more free time than adults. The effects of yoga are more quickly visible in children than in adults. It lays the foundation of good living in them at a very early age. Parents can see tangible changes in their alertness, concentration, liveliness and improved ability to assimilate study materials in addition to gaining a toned body. Training for adults has also been planned. By following a strict diet, having perseverance in practice and by following a few disciplinary methods (discussed later), adults can transform their lives beyond their imagination. 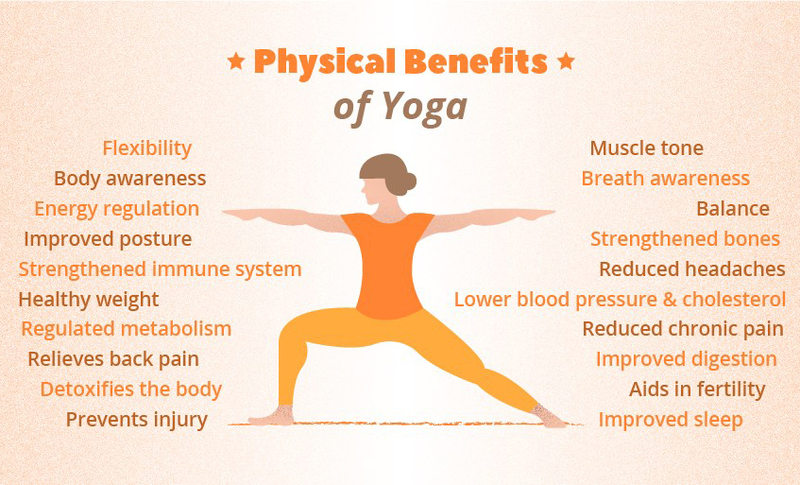 The aim is not to make them yoga experts but to avail them the benefits of yoga with which they can carry on their daily lives with happiness, presence and peace of mind and a purpose of life while having a coveting beautiful body. 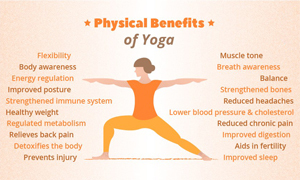 The benefits of yoga can be grouped into three categories as shown below. Millions of people are practicing yoga around the world and each one has a story to tell about the positive effects of yoga in their life. There is no age barrier for practicing yoga. 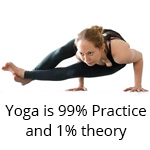 Almost anyone can practice yoga; young people, old people, sick people, busy people but only one group of people who cannot practice yoga is lazy people and you do not want to be one of them. 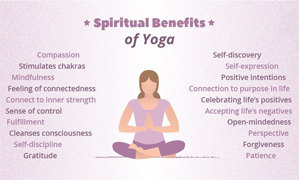 There are many different versions of yoga and it is a very vast subject. 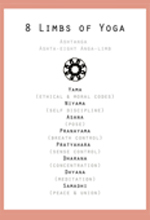 Hundreds of books are available on yoga. LetUsYoga will focus on simple yoga exercises in the beginning and over time moving to advance poses for those who can endure. The key to get results in yoga is mainly by maintaining discipline in diet and through constant practice. To excel in yoga one takes years of practice but with regular practice and discipline one can see visible changes in 2-3 years. 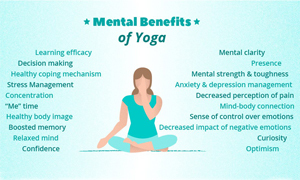 Though LetUsYoga does not follow strict Ashtanga method of practice, knowing what Ashtanga yoga helps one in getting the benefits of yoga more easily. Yoga does not simply means stretching and twisting of body parts, it has eight limbs. Ashtanga yoga teaches one how to become one with the universe through the eight disciplinary methods for body, mind and soul. Those who are interested to know more about Ashtanga yoga can read various books available on the topic preferably by the famous practitioner of the discipline former Yogi Pattabi Jois or any of his students. 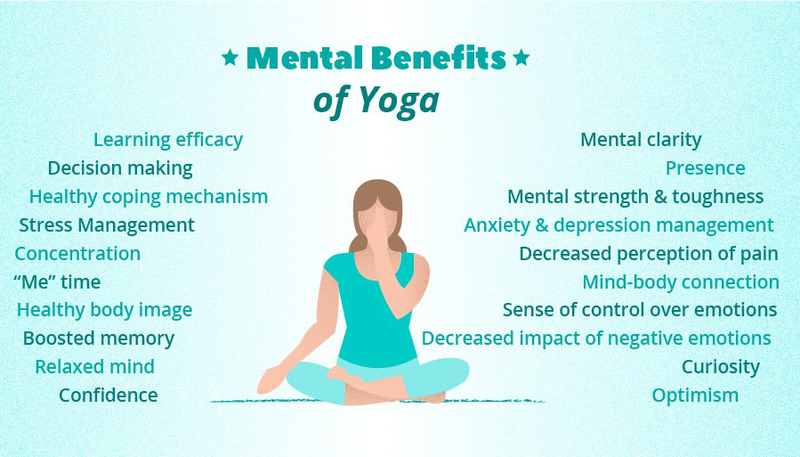 A study reported that more than 90% of the people who start practicing yoga gives up very early in their practice citing body pains, lack of time and frustration of not seeing results soon enough. But those who overcome the initial lag are the blessed ones for they start seeing the change coming on to them and they never give up after wards. To overcome the inertia one can go through the following points and see where improvements can be made. 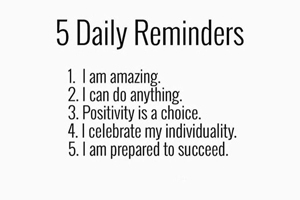 The more one can do from the following list, the easier is for one to get results from yoga. Mastering these points helps one to do yoga better and by doing yoga one can master these things. Again there is no single golden method to obtain results from yoga. It works differently on different people and some people are happy with whatever level of progress they achieve and stop. Some do not stop there and continue their journey to discover more. It is just a matter of choice. But one thing is for sure. Unless you change your mind-set and overall attitude towards life, the success you believe you have achieved in life through practicing yoga will be short lived. you need to discover for yourself. LetUsYoga is going live sometime in the middle of 2019. 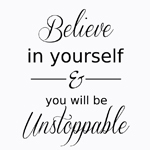 But you do not have to wait till then to get started. There are lots of ground works you can do before you join LetUsYoga such as: following a diet plan, reading suggested books, discussing course of actions which can be different for different individuals etc. If you are overweight you must lose weight before you can start practicing yoga. 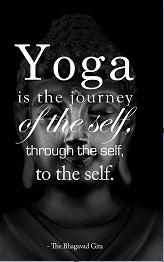 So come and visit us and let us discuss a working plan to gear you up towards a full-swing yoga life. Come join us and start the journey of a life time! without its usual hustle and bustle. Let the exact location of the place be a surprise!